So that you don’t miss the 2019 Phylla Mae Fall Fest ! Come join us at any of our contra dances or English country dances . They are a blast! There is always a caller who teaches each of the dances. And at every Saturday night dance you are guaranteed exciting, live music. Come with or without a partner. New dancers are always welcome. If you’re an old hand, you already know how much fun it can be. If you have not danced before, we encourage you to come at the beginning of the dance to get the most out of the teaching, and be prepared to smile a lot! You can also come a bit earlier and ask for a mini-orientation — or come to the 3rd Saturday family dance at 6:30. (You don’t have to bring your family….) Those dances can be a great starting place for new dancers. For anyone they offer a delightful opportunity to discover or rediscover the joy that cross-generation dancing brings. 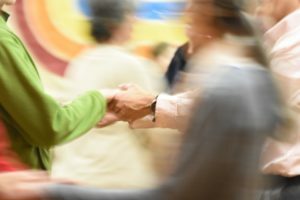 How can I learn more about contra dancing and English country dancing? Just come to a dance! While you’re waiting for your next chance to do that, you can check out our description of contra dancing and English country dancing, or browse through some of the many youtube videos that people have shared on the Internet. Regular dances happen on first and third weekends of each month. We include both contra and English country dancing on every weekend, but flip Saturdays and Sundays, as in the chart below. Saturday night dances go from 7:30-10:30 PM. Sunday gatherings are from 2:00-4:00 PM. See the Gathering Page to learn more about how these Sunday events work. Every third Saturday there is also a 6:30 PM family dance before the contra. Exceptions to our schedule formula do occur sometimes, so it is always a good idea to check before traveling. Upcoming dances are listed in the column on the right-hand column of this page. Those and more can be found on our schedule page. Want to be reminded about upcoming dances? Consider signing up to receive reminders before each dance, either as email (use the handy-dandy form on the right of this page), or as a text by emailing our friendly text-smith and including the phone number where you want the texts delivered. Usually at the United Church of Fayetteville. We occasionally have special events at Madison Hall in Morrisville. And from time to time we will hold a dance at another location. Don’t have a car? Use our Facebook page to set up a ride-share with another dancer. Ride-share drivers, ask for your $2 “go green” price reduction! Admission to all of our events is on a sliding scale. You are entirely welcome to pay what you can to attend. The recommended admission on Saturday nights is $10. Supporters are encouraged to pay $15-20. People with limited income (such as students or seniors) typically pay $5. If you come in a group and wish to pay a group rate, we also suggest $5/each. Recommended admission to the Sunday gatherings is just $5. And recommended admission is higher for occasional special dance events, such as our annual Contra Prom and Phylla Mae Fall Fest. Your admission pays for callers, musicians, and expenses like rent, insurance, etc. No money is earned by the volunteers who do all the other work involved in putting on our dances. 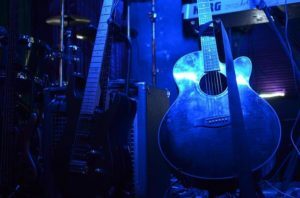 When we earn any profits, these are put back into the running of the dance (for example, by paying for upkeep of our sound equipment). Go for comfortable, informal clothes. It’s best to avoid colognes and perfumes. And, to help us protect the wood floors, please bring soft-soled, grit-free shoes. (Avoid flip flops and high heels.) Don’t feel you need to purchase special dance shoes; sneakers are fine and there is a brush at the dance to clean your street shoes if necessary. If you’d like to support our dance by volunteering, hooray for you! There are many informal ways to start. You can bring a snack for the break. Or bring friends to the dance to help build attendance. Maybe do some dishes after the snack break, or help with sweeping or cleanup after a dance. If you feel ready to graduate to more substantial involvement with the dance organization, please contact Patty, our volunteer coordinator — or talk to any of the organizers you meet at a dance. And thanks! We are an affiliate of the Country Dance and Song Society. You can become a CDSS member for as little as $25. See our FAQ page for more answers to your questions. Note: Friday night, not Saturday! Sunday Contra Gathering. Come to dance, call, play music—or all three. Subscribe to our email list to receive email reminders a few days before each dance.